Fabulous 3 Bedroom House In High Demad Vellore Village. 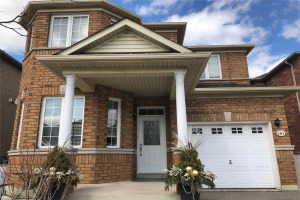 Open Concept Layout With Lots Of Upgrades , Hardwood Floor, 9' Ceilings... Spacious Modern Kitchen With Granite Counter Top Combined With Breakfast Area, Stainless Steels Appliances. Bright Living Room With Stylish Stone Fireplace. Close To All Amenities:Park, Shoppig,Public Transit, Go Bus ,Restaurants, Future Hospital Amd Much More. Stainless Steels Appl, Washer, Dryer, All Electrical Fixtures.